You might think that as a pharmacy technician, the only way to advance your career is to seek a doctoral degree to become a pharmacist. But there are numerous rungs on the career ladder for pharmacy techs. “With the appropriate amount of training and experience, pharmacy technicians may be promoted to supervisory roles, may seek specialization (e.g. oncology, nuclear pharmacy), or may pursue further education and training to become a pharmacist,” states the Pharmacy Technician Information Center (a site run by the American Society of Health-System Pharmacists). “An ASHP survey of pharmacy practice managers in August 2009 revealed 56 percent of organizations offer career advancement opportunities for technicians.” This figure is probably even higher now as there are numerous professional organizations (like the ASHP, PTCB, NPTA and AAPT) working on or promoting pharmacy technician initiatives. Linda Henson, CPhT and Rico Powell, CPhT were both recognized as finalists for the Pharmacy Technician Certification Board (PTCB)’s 2013 CPhT of the year. 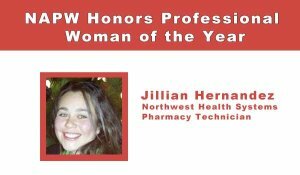 Both recipients are pharmacy technician managers. At Methodist LeBonheur Hospital in Germantown, TN, Henson oversees 30 pharmacy technicians and interns; Powell, who works for Methodist Healthcare and St. Francis Hospital in Memphis manages 42 technicians. As Henson shares, playing a managerial role can be very fulfilling in terms of encouraging and fostering newer pharmacy techs. Increased income, responsibility, knowledge and expertise are also rewarding aspects of pharmacy tech administrative positions. Additionally, when the roles of pharmacy technicians are expanded, it allows pharmacists to have more time to fulfill their responsibilities, including direct patient consultation and care. Pharmacy technicians who advance into roles with more responsibility may assume such positions as, lead pharmacy technician or senior pharmacy technician, pharmacy technician supervisor and pharmacy technician manager. Scheduling pharmacy technicians, finding replacements for techs out sick or on vacation and ensuring shift changes run smoothly. Communicating with other relevant departments, healthcare professionals, services, etc. Requirements for becoming a pharmacy technician lead, supervisor, manager or other administrative role depend on the exact position and employer. Several years or more working as a pharmacy technician. Some employers may prefer candidates have at least an Associate’s degree in Healthcare Management, Administration or a similar discipline. 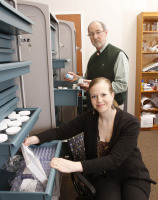 “Career ladders or tiered advancement programs for technicians often have lead technicians or technician supervisors at the top rung; however, not everyone is a natural leader or supervisor,” stated Angela Cassano, PharmD, BCPS, in her Pharmacy, Purchasing & Products’ article “Expanding the Role of Pharmacy Technicians” (April 2012). If you want to expand your pharmacy technician career, but do not want to act in a managerial role, there are still ample opportunities for advancement. For example, you can assume more specialized and rewarding positions through completing relevant training (such as through continued education courses, NPTA specialized certification programs, through a program offered by your workplace, etc). Training in such specialized areas can lead to management roles that do not necessarily involve supervising staff. Other opportunities may involve serving on committees, assisting with policy upgrades or even authoring reports and helping design business plans. You have the potential to rise up the ranks by going after a position that directly connects to what you like most about being a pharmacy technician. If this “position” does not yet exist, but would beneficially fill a gap, why not be a pioneer?